John Muir was an early proponent of a view we still hold today—that much of California was pristine, untouched wilderness before the arrival of Europeans. But as this groundbreaking book demonstrates, what Muir was really seeing when he admired the grand vistas of Yosemite and the gold and purple flowers carpeting the Central Valley were the fertile gardens of the Sierra Miwok and Valley Yokuts Indians, modified and made productive by centuries of harvesting, tilling, sowing, pruning, and burning. Marvelously detailed and beautifully written, Tending the Wild is an unparalleled examination of Native American knowledge and uses of California's natural resources that reshapes our understanding of native cultures and shows how we might begin to use their knowledge in our own conservation efforts. M. Kat Anderson presents a wealth of information on native land management practices gleaned in part from interviews and correspondence with Native Americans who recall what their grandparents told them about how and when areas were burned, which plants were eaten and which were used for basketry, and how plants were tended. The complex picture that emerges from this and other historical source material dispels the hunter-gatherer stereotype long perpetuated in anthropological and historical literature. We come to see California's indigenous people as active agents of environmental change and stewardship. Tending the Wild persuasively argues that this traditional ecological knowledge is essential if we are to successfully meet the challenge of living sustainably. M. Kat Anderson is a Lecturer in the Department of Plant Sciences at the University of California, Davis; Associate Ecologist at the Agricultural Experimental Station at the University of California, Davis; and a faculty member in the Graduate Group in Ecology at the University of California, Davis. 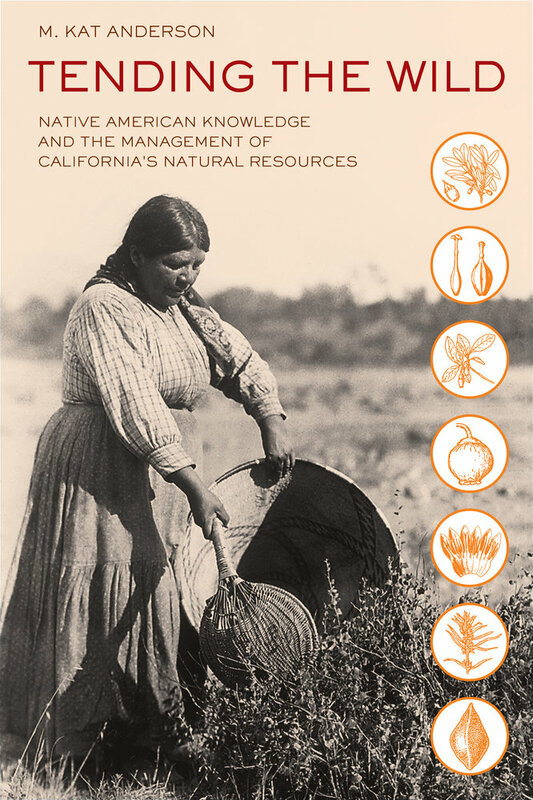 She is coeditor, with T. C. Blackburn, of Before the Wilderness: Native Californians as Environmental Managers (1993) and coeditor, with Henry T. Lewis, of Forgotten Fires: Native Americans and the Transient Wilderness by Omer C. Stewart (2002).